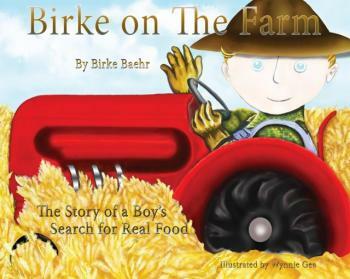 An eight year old boy asks hard questions about our food system and travels down the road of discovery to find out that the reality of the industrial food system is less than picturesque. First, it leads him to organic and sustainable farming methods and then, on to a stage from which he begins to change the world with his views on "What's Wrong With Our Food System." This journey takes him around the globe where he vows to make a difference, "one kid at a time." Richly illustrated with colorful pictures that tell Birke's story on every page.